Tired of the usual pumpkin, spider webs, and all the usual Halloween stuff? Have fun preparing your Halloween tricks and treats and try some of these ideas, you’ll never regret it. 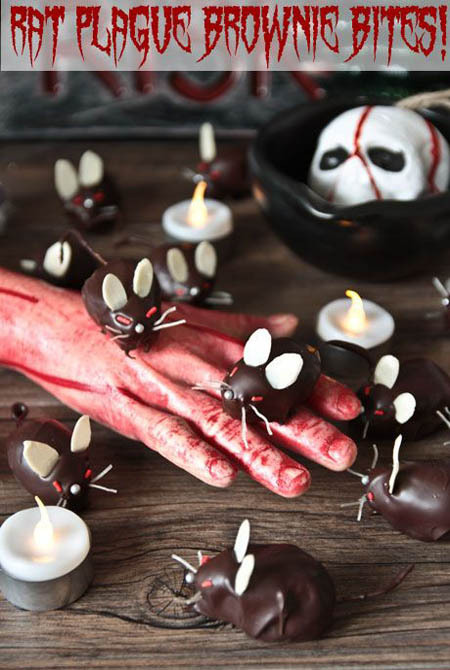 We’ve gathered more than 20 Halloween do-it-yourself ideas that will make your Halloween party filled with slimy, gross, and creepy things and snacks! 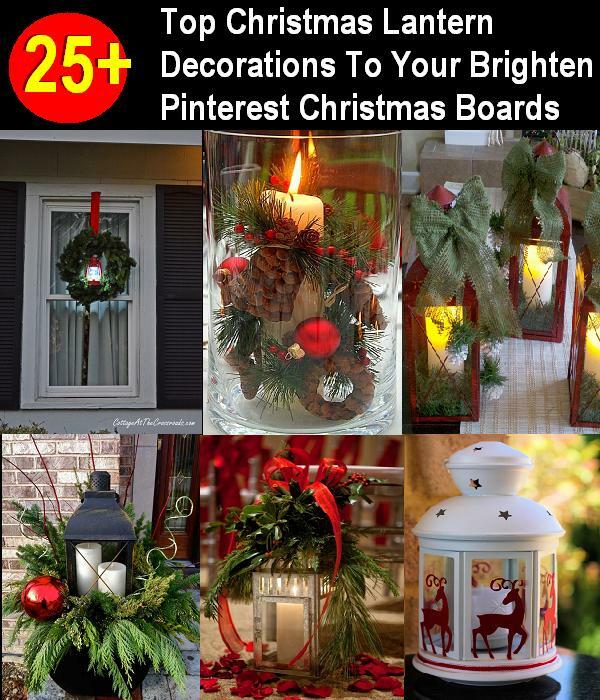 I was browsing the web for some cool ideas and as usual, I went to my favorite spot – PINTEREST! 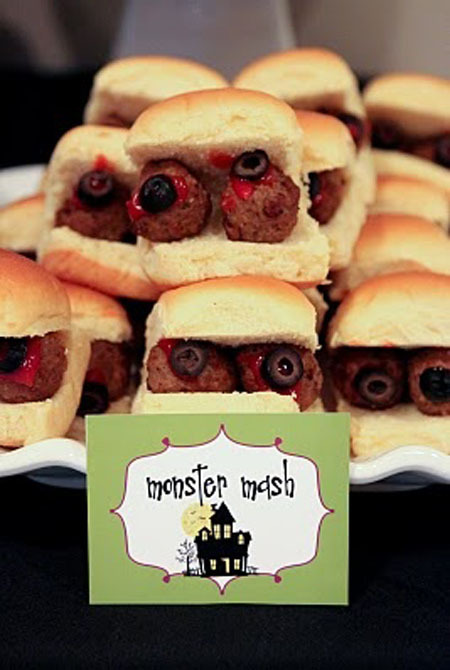 Here I compiled some of the most repinned halloween food ideas. Enjoy! Wow, when I read spaghetti, this is not the picture I was expecting! A great way to make your Halloween more spooky and unique. I would not be surprised that this picture has been repinned more than 14,000 times! Those cookies kind of don’t seem delicious, it looks weird! I am pretty sure these 657 people who repinned this photo will try these cookies and will have the creepiest Halloween ever. A great treat for Trick or Treat! I don’t think I could eat this meal. 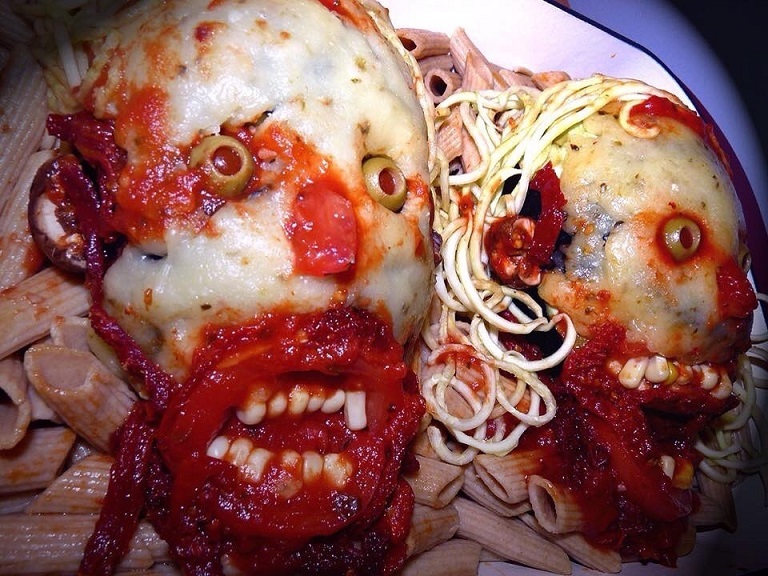 Whoa, a The Walking Dead inspired meal for your Halloween Party? Great idea! 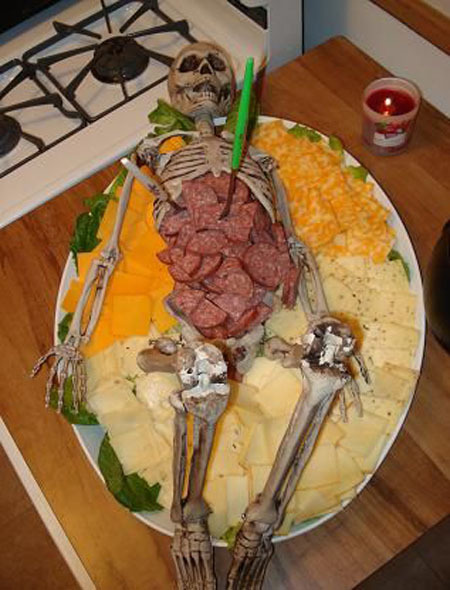 Imagine how weird it will feel like while eating this corpse. That will make one hell of a Halloween night! Only 4163 repins for this photo? Come on, people! This is one of the things that make you go “eww” this Halloween. 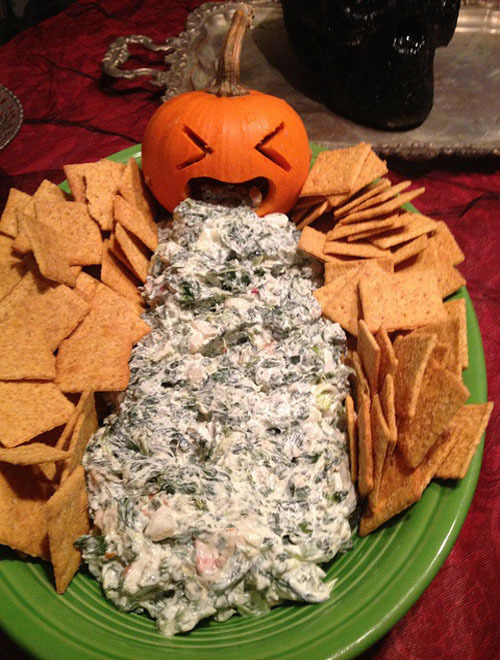 I don’t know if I can stand eating it but this photo of a pumpkin throw up platter is hilarious! No wonder this got more than 2.5K repins. 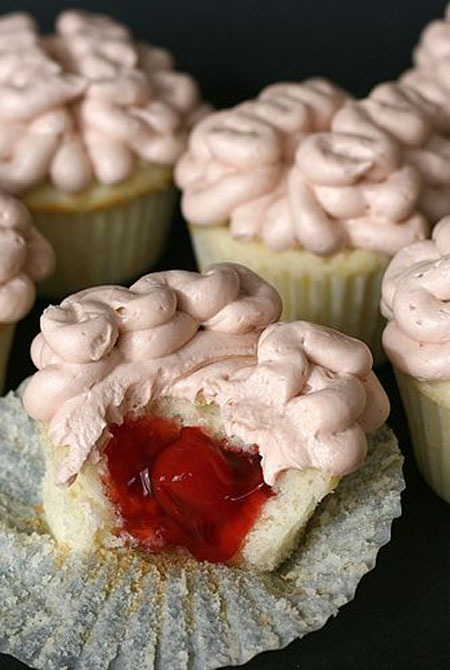 The brain cupcakes! Am I weird if I think this looks yummy? I am pretty sure zombies will love this idea this Halloween. Well, 1779 zombies already liked it and repinned it. I usually love meatballs in spaghetti but this meatball eyes look nasty! It’s super easy to do and it will sure be a hit on your Halloween table. 503 people find this cool and repinned this, so I think I’m going to try this. 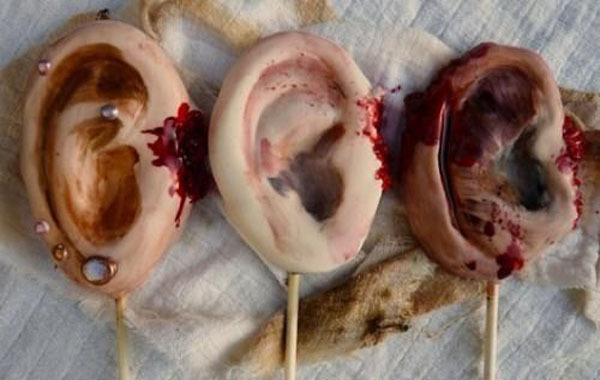 This idea may seem gross at first glance but if you think about it, this is white chocolate! 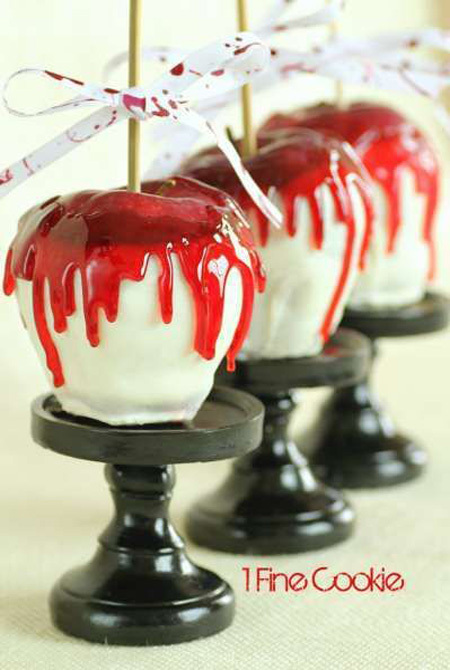 I would not mind eating an apple with a syrup that looks like blood if it is covered with chocolate. This will be the star of my Halloween treats table this year! No wonder 273 people repinned this, this is awesome. I can’t stand looking at this picture for so long, this brain inside the jar looks slimy and squishy. Gross! 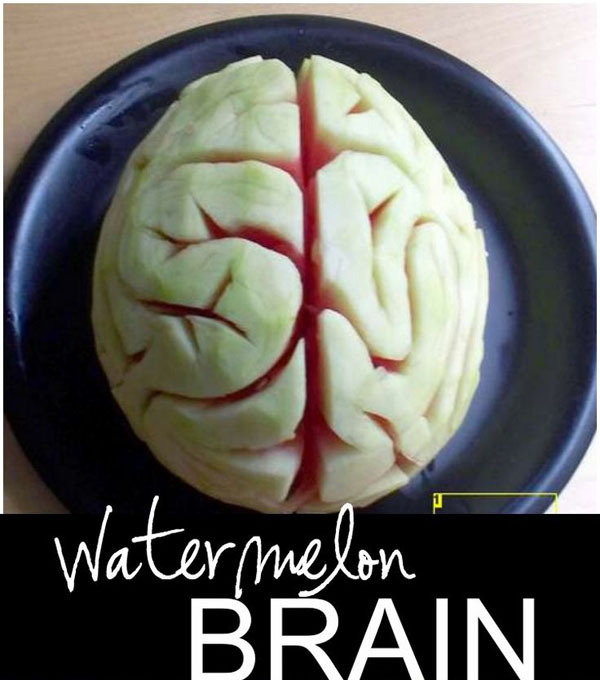 This will be a perfect trick this Halloween, if you can make the brain edible this will be a trick and a treat all in one jar! 3471 repins, wow, that’s a lot! 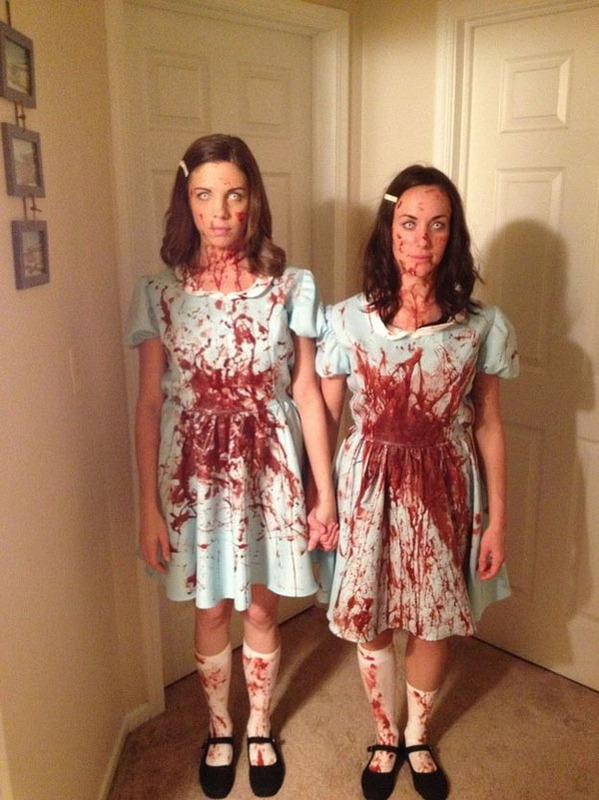 Yeah, if your goal is to freak out everyone who will visit your house this Halloween, you must try this one! That monster looks real, I can’t stand thinking I would eat it. Awesome Halloween treat! I’m pretty sure these 1107 people who repinned this, will try this and have the best Halloween ever. This one’s best for both kids and for adults! 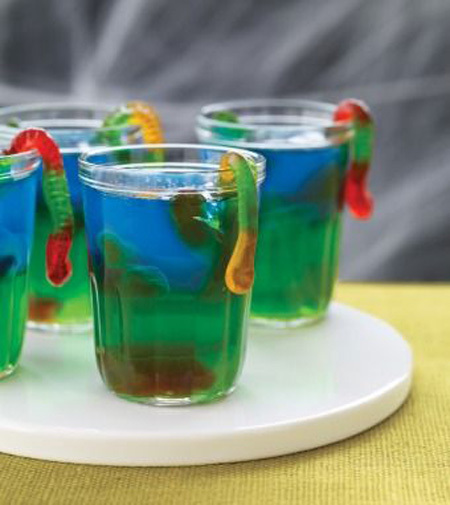 For kids, you might use a weird colored juice, add the gummy worms, and voila, you have a Halloween drink kids will surely love. But if you will have a party for your friends, replace the juice with vodka, and you will have the best Halloween (And the worst hangover the day after) ever! No wonder this got 3532 repins. 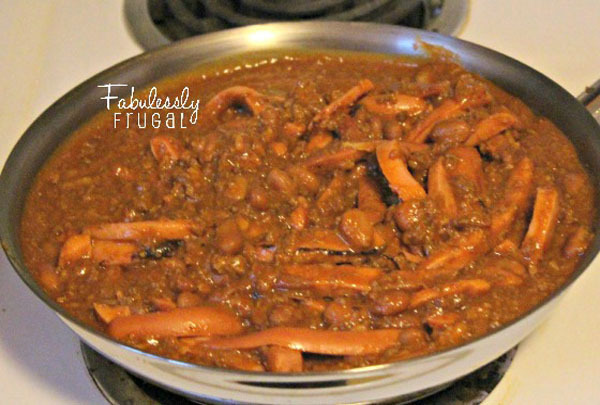 This one’s the easiest Halloween food to prepare. It’s easy but don’t underestimate its power to spook anyone you offer this food with. It still looks gross, perfect for Halloween that’s why it got 1220 repins. So what are you waiting for? Try this! Or maybe repin this so your friends can see. Oh my gosh! Whoever thought about this idea is wicked, but good wicked! My stomach’s turning just looking at the picture of this homemade jell-o worms! If you can stand seeing this worms, try this at home and make everyone else’s Halloween more gross and spooky. Look at that, so slimy! I am not surprised that this got more than 17K repins! Want to stay classy but still enjoy the Halloween? 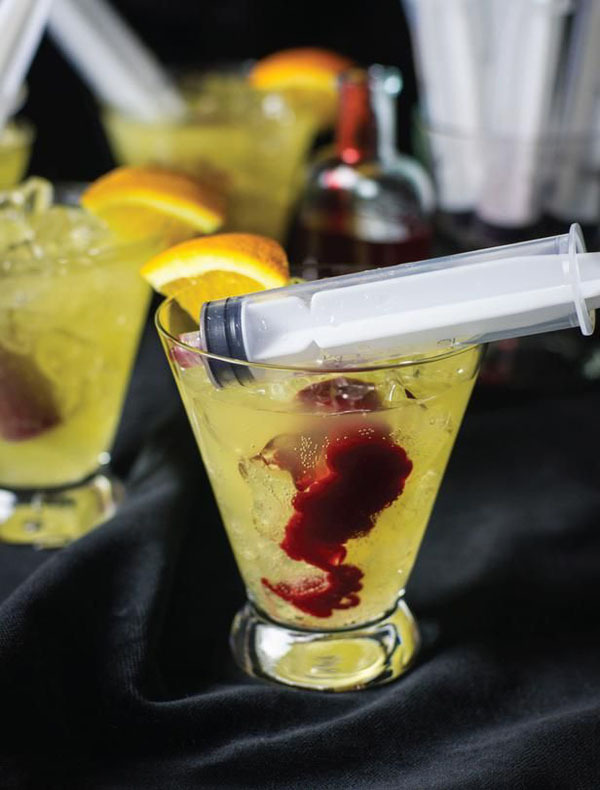 Try this cocktails with a touch of blood and syringe on the side. You’ll feel like you’re a vampire just having the night out. I am sure these 2631 people who repinned this will agree with me. Am I right? I’m freaked out by these little brains! 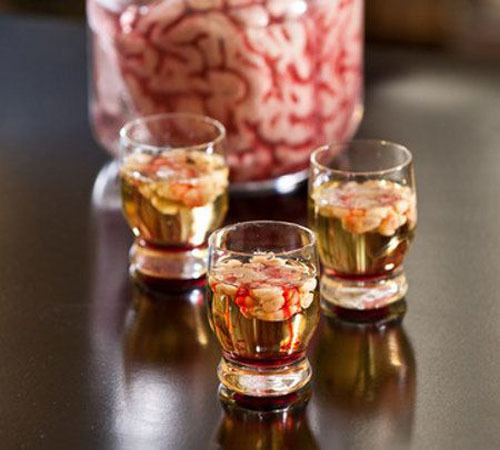 I think I am going to need shots without these brains before I can have these brain shots. 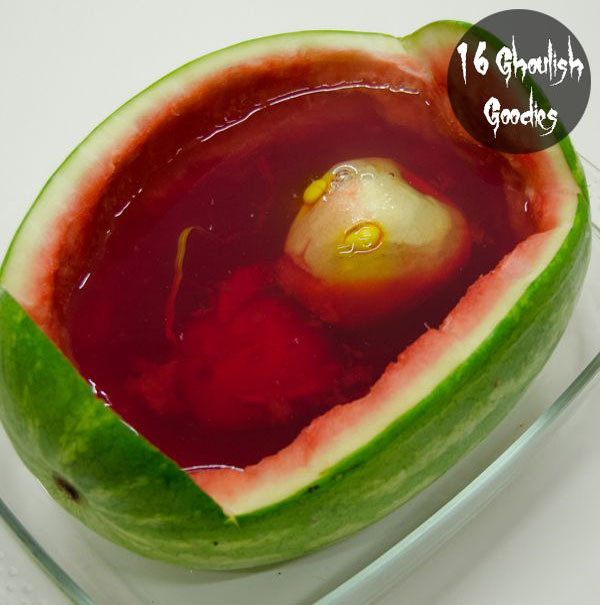 This is a great party drink this Halloween, and I’m not surprised this got more than a thousand repins! Wow, that’s a huge brain! I like how creative this idea is but I think it will need a really good carving skills to get this awesome outcome. Want a healthy Halloween? Try this one, and try this on other fruits too! 23581 repins? Wow, this one’s really awesome. Aw, this one’s the cutest Halloween treat I have ever seen! A perfect balance of spooky and cute that kids will surely love and enjoy. Wouldn’t be surprised that this photo got 4382 repins, this is adorable! Even if this is healthy, I still think it’s gross! Oh my, whoever thought of this idea have a really creative mind. Tired of the unhealthy treats and want to make a difference this Halloween? Try this one! People will never realize what these fingers are made of, they’ll just be curious to try it. No wonder this photo got more than 2K repins. Found this one while searching for cute Halloween ideas for this year’s party and I saw that this got 1931 repins. I would not be surprised because this really is an awesome treat, because who doesn’t love chocolates (even if it looks like a rat)? Saw this photo with 496 repins and got curious of what this is. 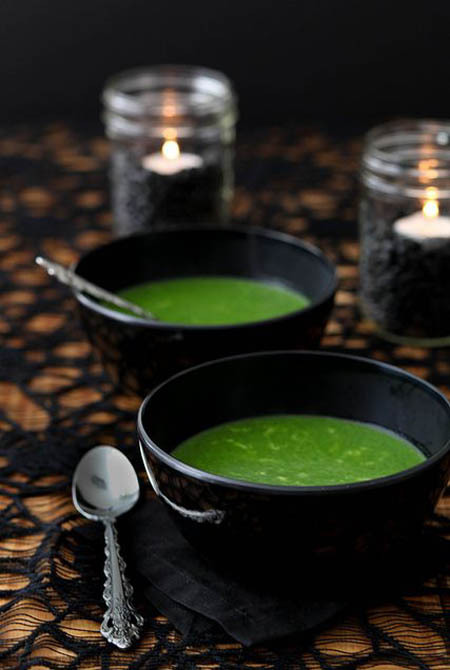 A really spooky spinach soup that will be perfect for this year’s Halloween party, and a healthy soup too. 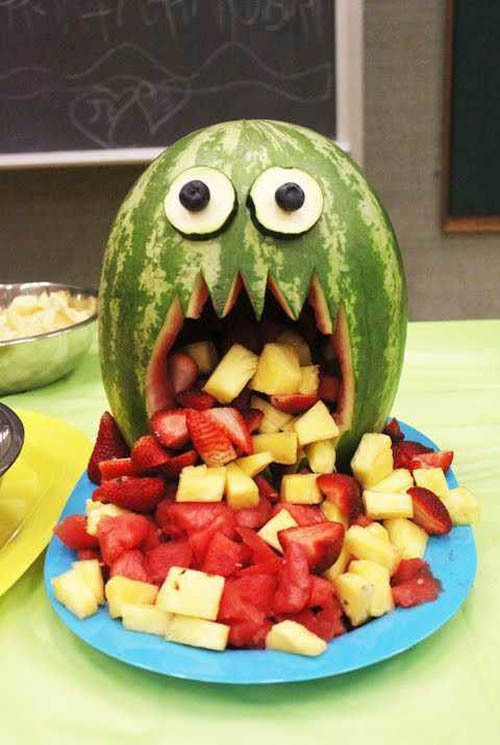 Try this one, this might be your chance of tricking your kids to eat something healthy! 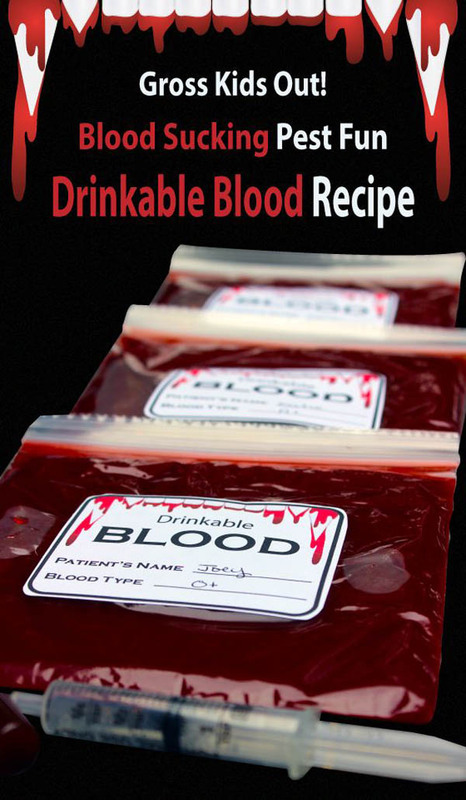 Who would not freak out when you receive this drinkable blood? This is so cool! I am really glad I stumbled upon this photo and got curious because it has been repinned 1460 times. I am surely going to try this one. Found this little donuts while searching for a yummy Halloween treats and I am surprised this got only 776 repins. Come on, people! This is easy to make and it looks yummy. Will definitely try this with my friends. 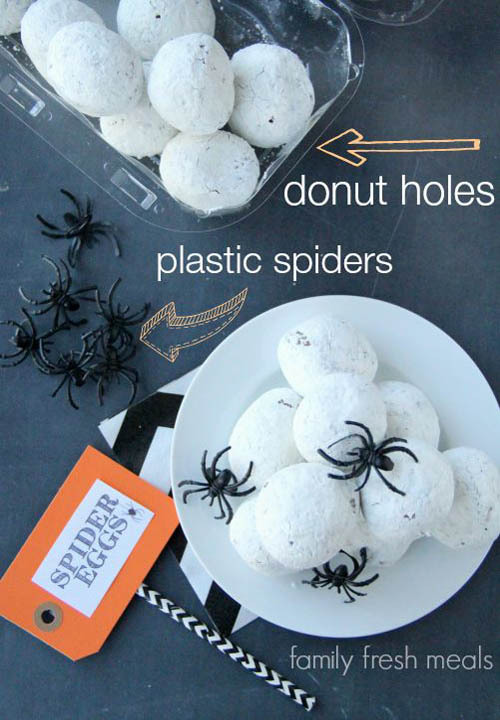 Tired of black cakes and cakes with spider webs on Halloween? I recommend you try this one. Found this while browsing for unique cake ideas and I was not surprised this has been repinned 1433 times. 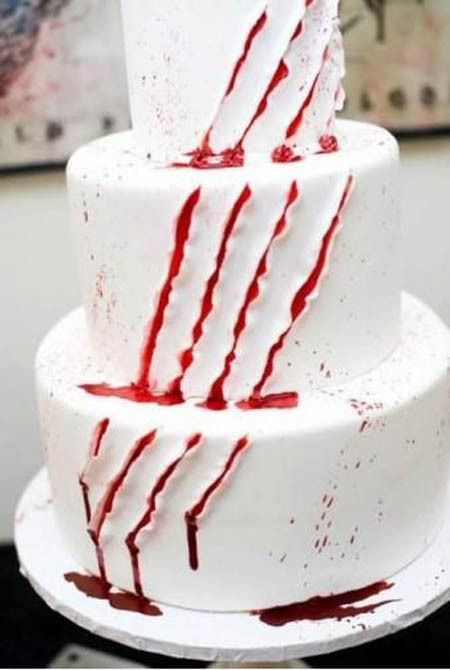 A cake that looks like it has been scratched by Jacob Black? Must try! 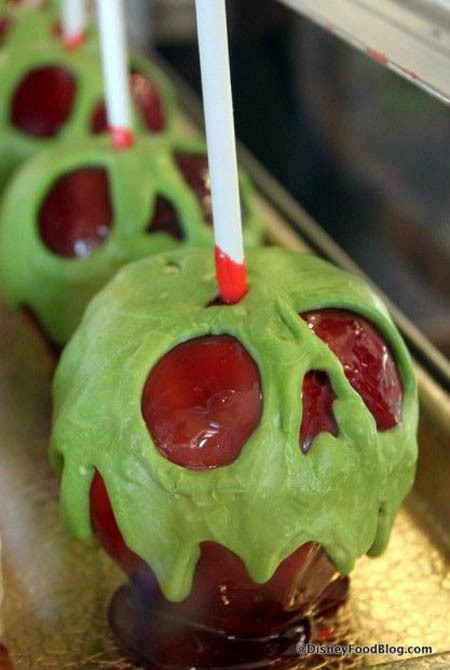 The evil witch’s poison apple on Snow White will definitely be a hit on Halloween! Loved it! This deserves more than 3K repins. 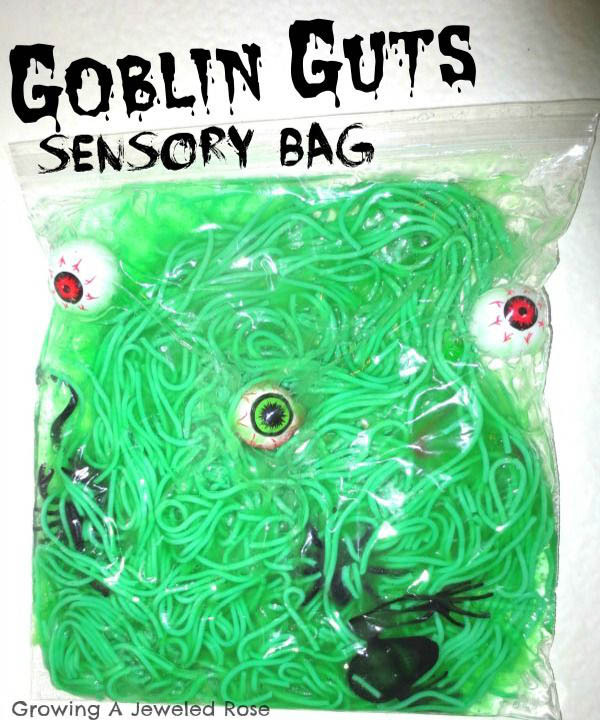 Great Halloween party treat that can be a prop, too! Great idea for last minute Halloween preps! 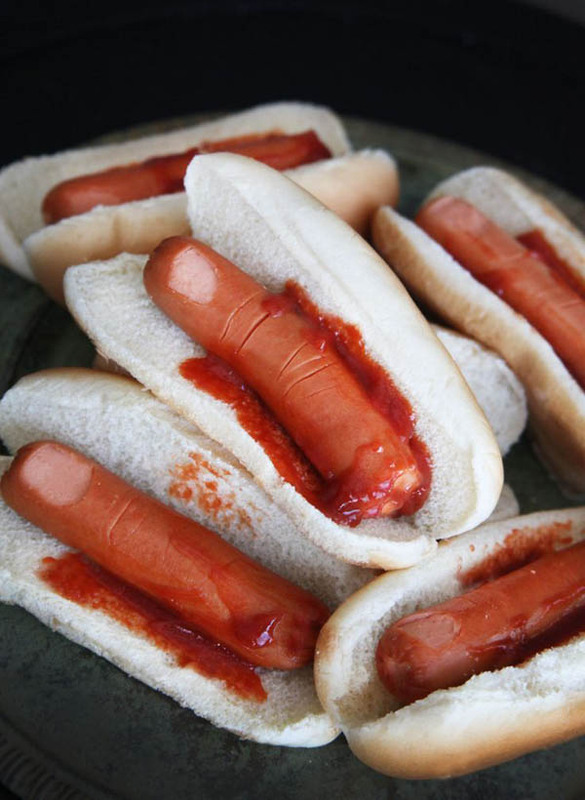 Turn your hotdogs into a finger and watch kids freak out when they see it! I am surprised this has been repinned only 730 times. 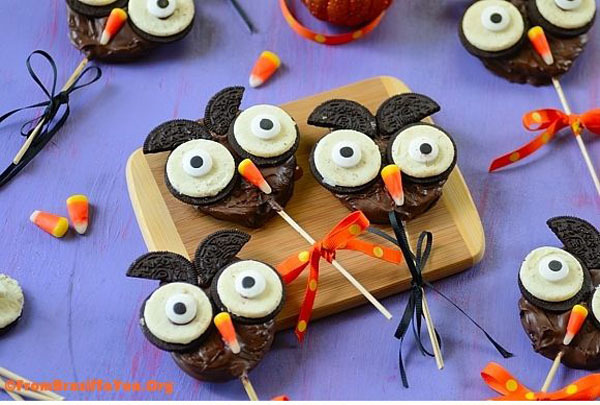 This is an easy DIY Halloween food for busy moms and dads! Look at that, so slimy! I found this while searching for Halloween ideas that kids will surely love. No wonder this has been repinned 1119 times, this is so cool! You can prepare this with kids and let them unleash their creativity. You’ll never know, they might come up with something spookier! The healthiest Halloween treat I’ve ever seen! Halloween isn’t about candies and other sweets only, fruits are making their way to our Halloween tables. I am pretty sure that most of the repins this photo got are moms, kidding. Was not surprised this got more than 2K repins, it’s unique and creative!